Pastor Tim and his wife Karen married in 1986. They have six children and three grandchildren. Tim graduated from the University of Nevada in 1984 with a degree in Finance and worked for 10 years as a Financial Planner. From 1984 till 1992 he served as a lay leader in his home church, Las Vegas Bible Church. In 1992 he moved to Sun Valley, California to study at The Master’s Seminary (TMS) where he completed his M.Div. and Th.M. degrees (1995, 1996). During his time at TMS and Grace Community Church, Tim served as a Deacon, an Awana Commander, and also did some teaching as an adjunct professor at TMS. In 1996, he was called to be Senior Pastor at Anza Avenue Baptist church of Torrance, CA where he served for 10 years. 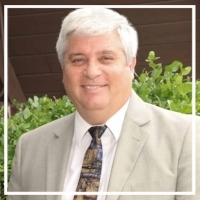 In 1995 Tim began serving as an adjunct professor at Irpin Biblical Seminary (Kiev, Ukraine) and throughout the years has also taught at the seminary and institute levels in Russia, Germany, Mexico, Romania, and Myanmar. In 2006, he and his family moved to Colorado Springs to help found Front Range Bible Institute. During his time in Colorado he has also completed his Ph.D. degree from Baptist Bible Seminary in Clarks Summit, Pennsylvania. Tim was called as Senior Pastor at Mesa Hills Bible Church in April of 2011. Ryan was born in San Antonio, TX and grew up in Alamogordo, N.M. He attended Baptist Bible College (BS in Bible & Pastoral Studies) in Springfield, MO and received a Masters of Biblical Counseling and a M. Div. from Baptist Bible Theological Seminary. Ryan and his wife, Amanda, were married in 2005 and have three children, Calvin, Callie and Aiden. Ryan is a certified biblical counselor with the Association of Certified Biblical Counselors (ACBC). Ryan has counseled and taught certification seminars under ACBC over the years. He was called to Mesa Hills Bible Church as Youth Pastor in 2015 and transitioned into the associate role in 2018.